It should make sense that the Quran, as a divine message, is mubeen or clear and unambiguous. The word “mubeen” here is translated “clear” for readability but the exact meaning has stronger implications than merely “clear.” It is unambiguous and the opposite of occult. That in turn is important because the Quran is a book sent for people to understand, not to create mysteries that require a special clergy or priest-like caste of scholars to interpret. 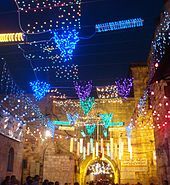 As mentioned frequently on this website, “thinking” is mentioned in the Quran itself so often that its significance as an imperative is indisputable. Thinking, in Arabic the verb form of ‘aql which in modern Arabic means “mind” or intellect, is used in parallel with “faith” or “to have faith in/ believe”, implying that without thinking there can be no faith. This stands in direct opposition to the Christian concept of a “leap of faith” in which the believer accepts “absurdity” — precepts that contradict one’s own logic — and therefore “leaps” over or sidesteps the intellect in favor of a particular belief, such as the confounding of human with divine in the deification of Jesus. Some Islamic movements such as the salafi, reject the use of the mind in favor of unquestioning adherence to a dogma based on certain hadeeths or sayings of Prophet Mohammad, and narrow interpretations of Quranic text, in effect creating an Islam much like “evangelical” Christianity: dogmatic, rigid, and hostile to logic or scientific or abstract thought, which are viewed as dangerous. 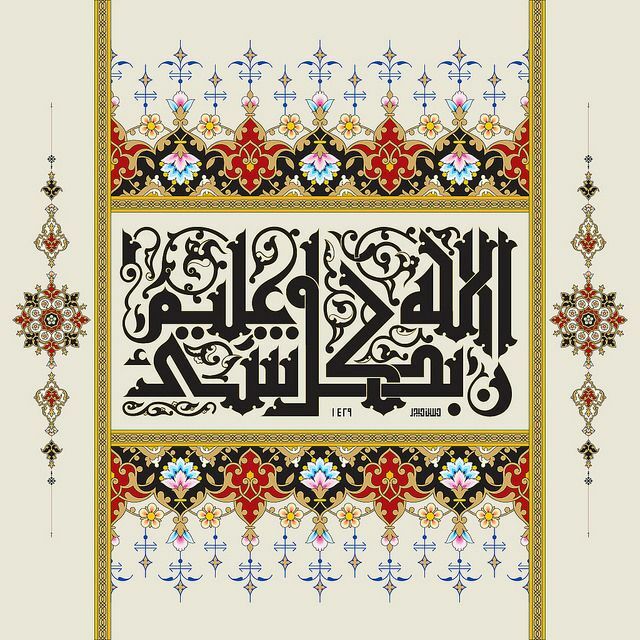 The Quran clearly admonishes the exact opposite: freedom of thought and faith arrived at by one’s own inquiry and inherent logic, based on a clearly elucidated tenet that faith in Allah is the logical conclusion of deep and unadulterated (by compulsion) meditation and intellect-based thinking. Thinking, in the Quran, takes place in the heart. Pilgrims on Mt. 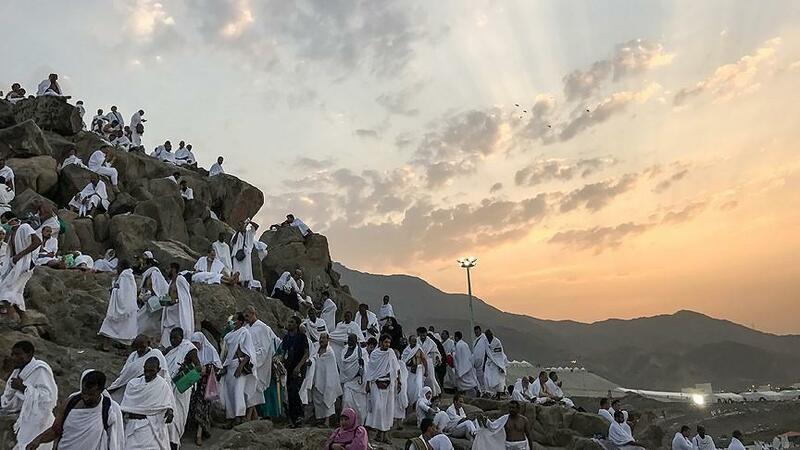 Arafat at dawn, above. 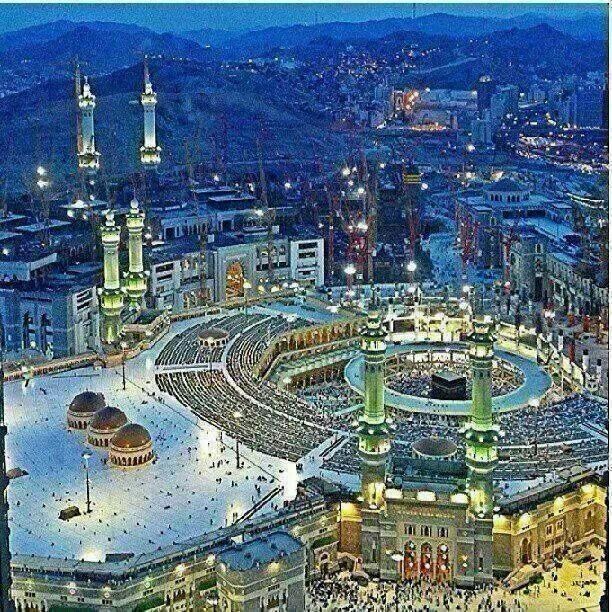 Hajj is the ultimate lifetime journey. The sheer numbers of pilgrims who make this journey each year is unlike anything else. Each ritual has a deeper meaning than its mere performance. 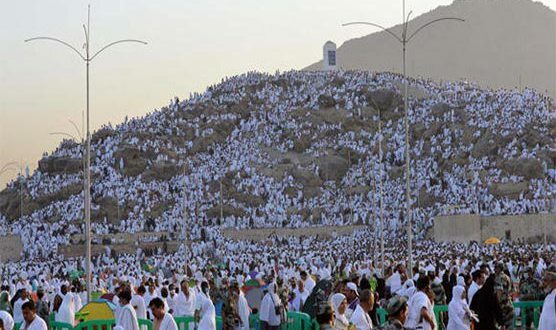 All pilgrims are equal in the Hajj regardless to ethnicity or race or nationality or “school” of Islamic practice. They wear special clothing to emphasize this, as simple as possible. 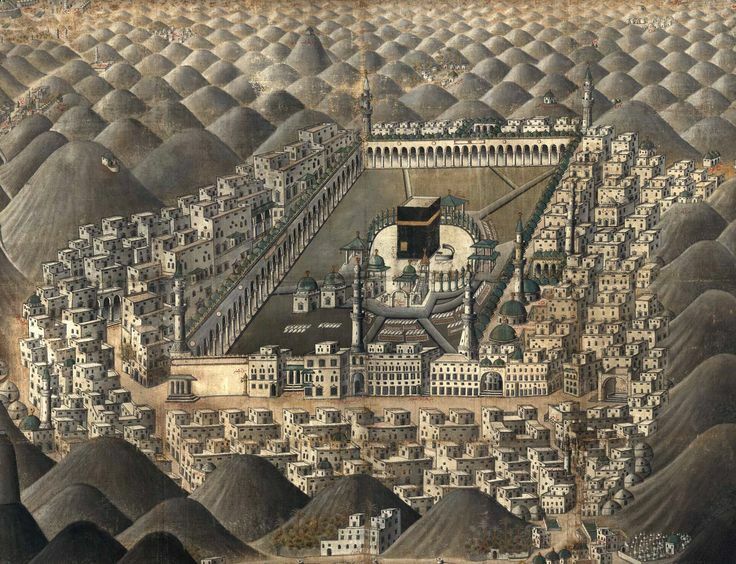 A picture of Makkah from about 1700. 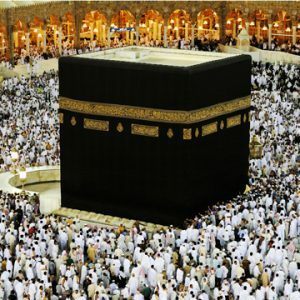 The Ka’aba itself looks the same! But look at how the city has changed. 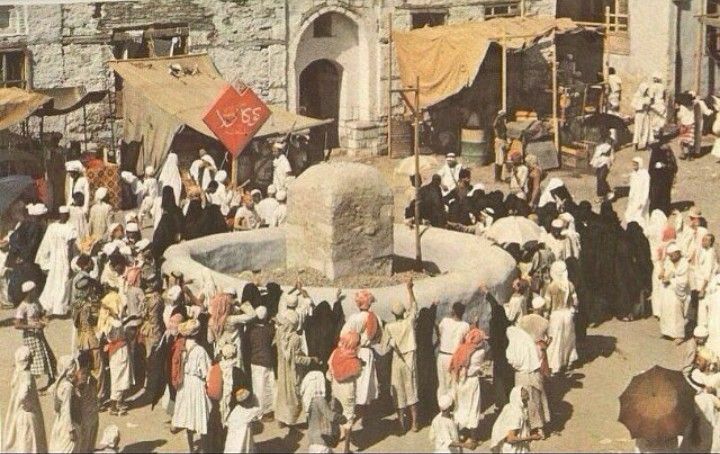 The same rituals are performed as they were during the lifetime of Prophet Mohammad. Below, a picture from around 1940. And below this, a modern photo of the same ritual, throwing stones at a rock representing Satan. 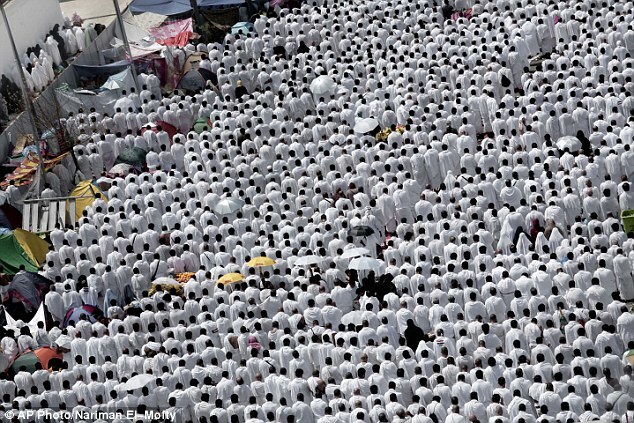 More people, more urgency to get enough space to do the ritual. Sometimes gets out of hand. And other rocks are much larger to accommodate more people. 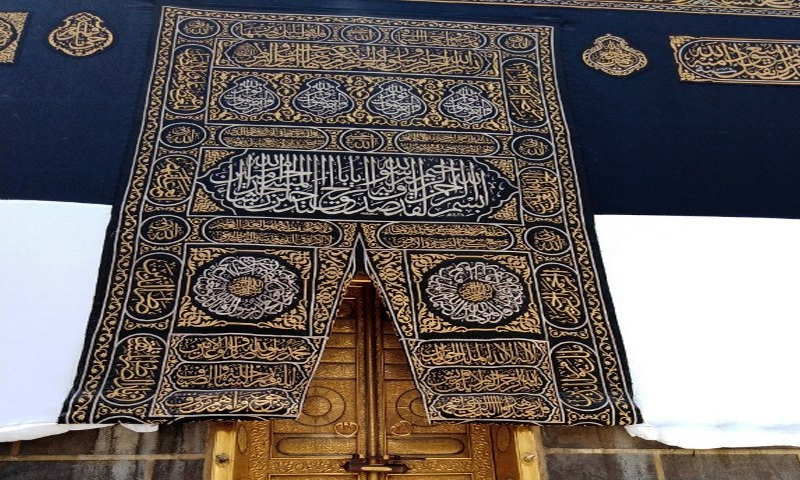 The front of the Ka’aba from up close, with its beautiful cover and calligraphy. 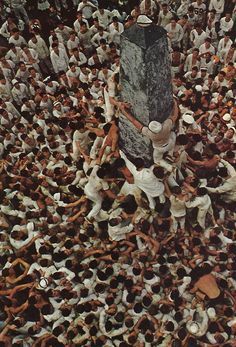 Remembering Arafat, the high point of the Hajj, we return to the Ka’aba to circle it seven times. And have a blessed Eid! The mathematical constants of our universe and their evidence that the universe is fine-tuned for life has been considered proof that the most reasonable explanation for the creation of the universe is not random events or necessity but design. 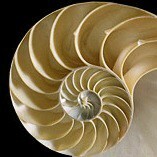 And design means, essentially, God. Christians have taken this up and added further embellishments to support beliefs unrelated to the physics. 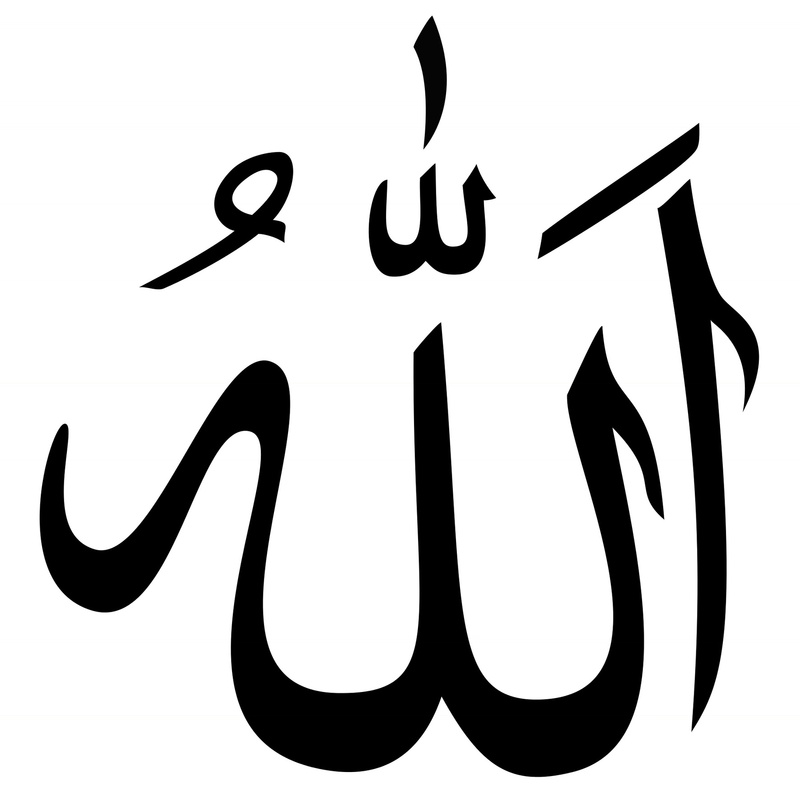 The Quran however teaches that God “has no similitude”, the meaning of God defined as unlike anything or anyone else. This is the one fact that is revealed in the “fine-tuning” discovery. Truth-seekers would do well to consider that such a God would also communicate with the life God created: with divine revelation such as the Quran.